The weekly mystery face is a horse that is on a building just north of downtown. 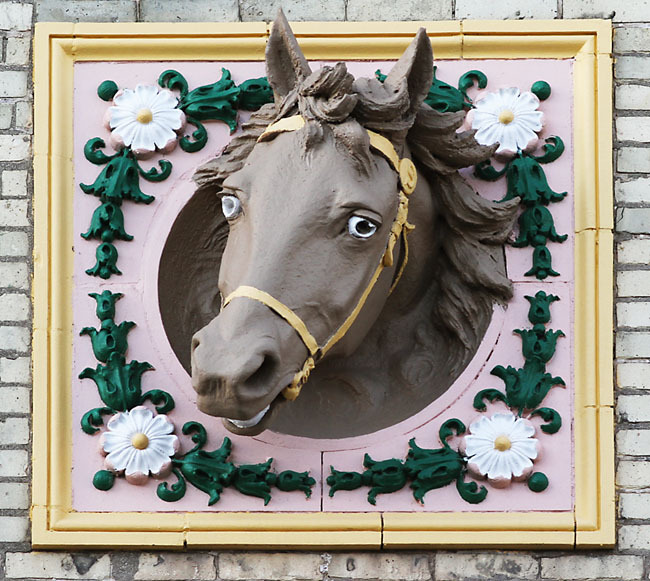 It was on one of the buildings of a business that heavily relied on horses at one time. Any guesses before I start giving out more clues? 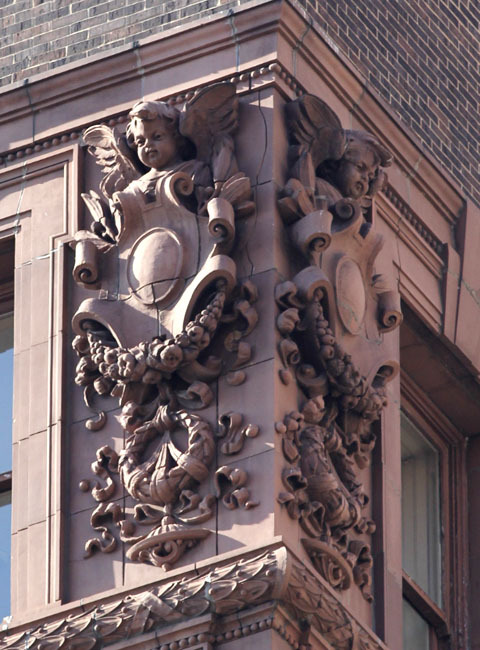 This week’s mystery face is on a building in the east town area of downtown. 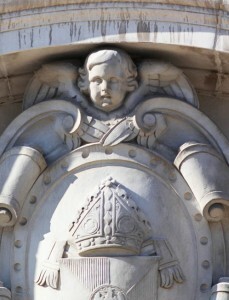 It is an angel which should hopefully narrow it down a bit. Does anyone recognize this angel and know which building it is on?? Fear not, the Monday Mystery is finally here! After a much needed overseas jaunt I have just now returned to catch up with work that needs to be done. So, we’ll keep it simple for all of you that may have had too much to eat this holiday weekend and are still digesting! This week’s mystery face is on a short two-story building on the east side of downtown. 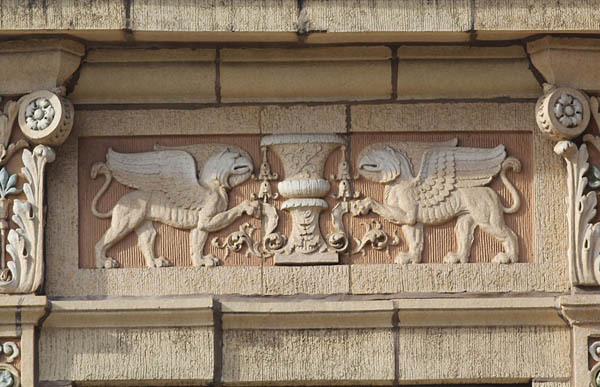 It is a pretty well known 1920s era building with plenty of ornamental terra cotta including this pair of gryphons. Where is the building in this week’s mystery? Dragons are everywhere but most times where you seldom look. 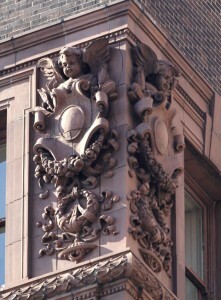 These small terra cotta dragons sit near the top of a downtown building’s corner turret. They aren’t too visible from the street unless you have the binoculars out or have a good telephoto lens on your camera. The building is in East Town and is another red brick building. Any guesses before I need to give some more clues? This week’s mystery will be a little easier. To celebrate a Badgers victory we will show a Milwaukee badger in all of its glory. 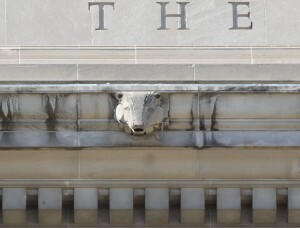 What downtown building on the west side of the river has this little badger? 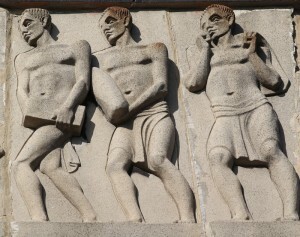 Today’s mystery picture is on a building on the west side of downtown. 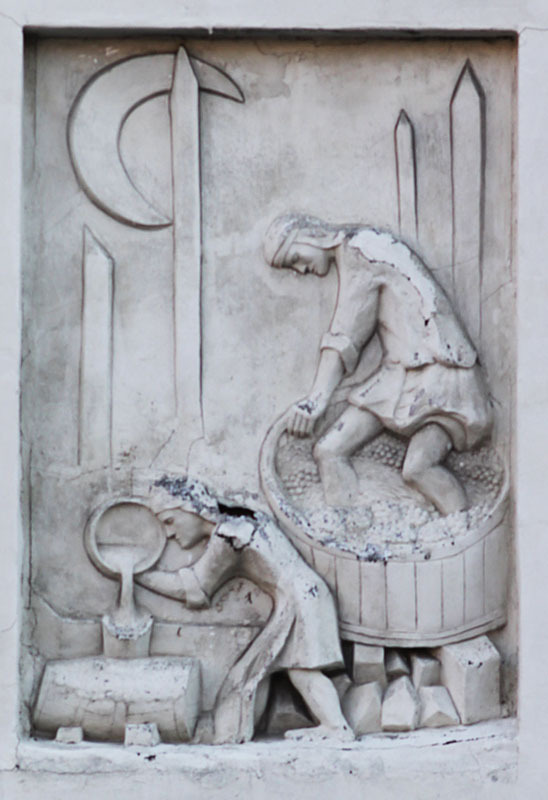 This interesting image shows the making of wine and is a little decrepit because it has been on this building for a long time. There is only one business in the building and it is a well known business that draws many visitors from around the world. What might this building be and where is it located?? Halloween Monday Special! Ok, this mystery face isn’t too scary but you might have to get out the binoculars to see this well, as high as it is. 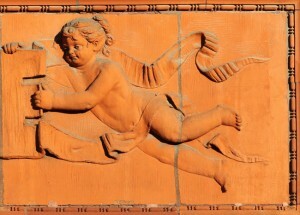 This cherub is on a downtown building in East Town and have a unique corner ornamentation. 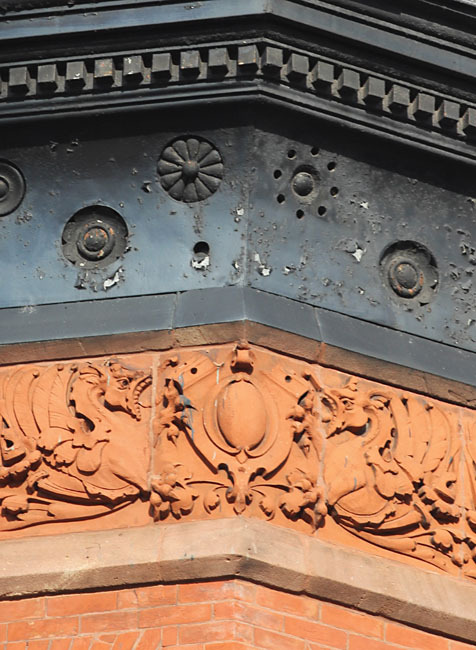 The entire top floor has reddish terra cotta all around – the only thing missing is the cornice which has been removed sometime in the distant past. 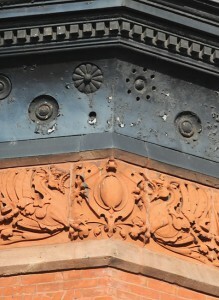 Who can guess the building where this mystery face is located?? This west side building has a variety of interesting monumental figures on the frieze along its top. 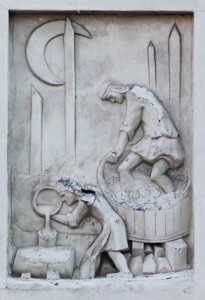 This particular section shows ancient workmen. If you are a fan of Method Man you probably have plans to be here soon. Where is this building? 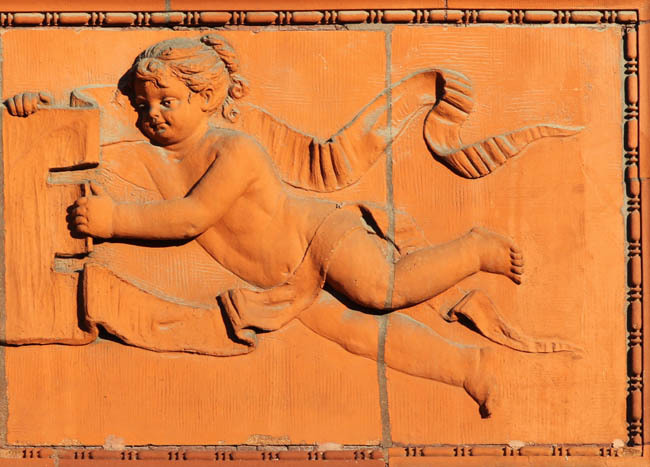 Today’s mystery shows a cherub on a downtown building in red terra cotta. 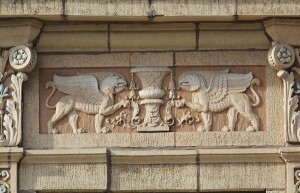 This is one of two that holds a banner saying the Germanic name of the building. This is in the “old world” section of downtown – any guesses? Here’s a tricky mystery picture. 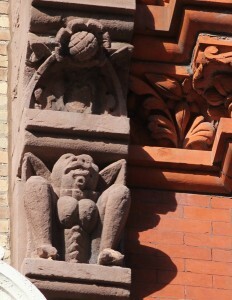 It barely looks like a creature but it is a little gargoyle visible from the street. This is downtown and there are clues in the picture but not much else to go on except for maybe the street name. This is the Monday Milwaukee Mystery, afterall!! Where is the mystery gargoyle?